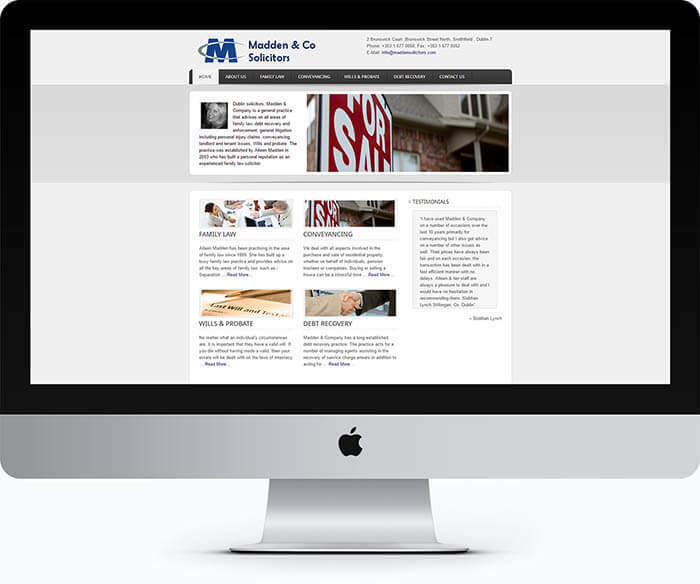 Madden Solicitors is a small legal practice business based in Dublin city centre. The firm specialises in Family Law, Conveyancing & Debt Collection. Theirs is a simple web design that features the company and outlines the services provided. The website also features a location map & contact details together with an enquiry form for potential clients looking to make contact online or outside office hours.